Calling all patients – whether you’re newly diagnosed or have been living with diabetes for decades – and health care providers. There’s a new book hot off the presses, “My Sweet Life: Successful Women with Diabetes.” Published by PESI HealthCare, “My Sweet Life” is available for pre-order now and will be widely available next month, diabetes month. “My Sweet Life” brings together twenty plus stories from successful women who have found a balance in their personal, professional and diabetes-management lives. One of the themes in the book is how diabetes can be viewed as a blessing in disguise. Clinical psychologist and CDE, Beverly Adler, gave birth to the book. I happen to know because only two months ago I was writing my story to be included in this compilation. 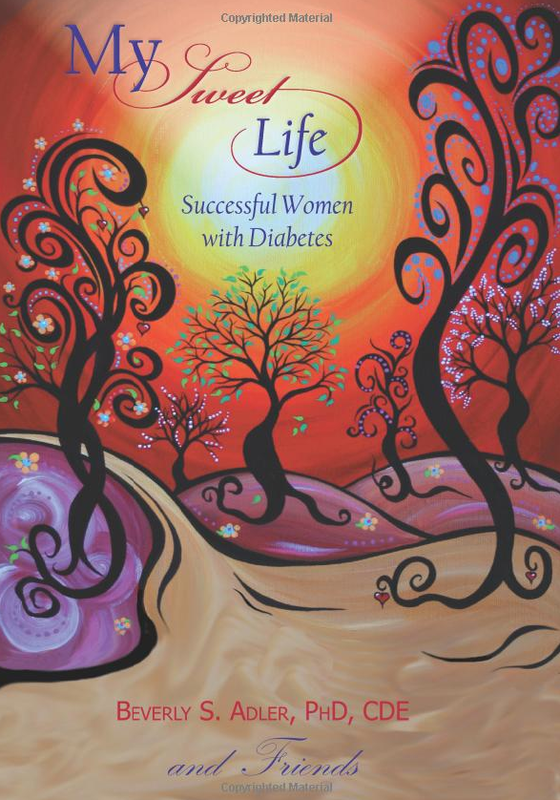 While there seem to be a number of books that feature inspiring stories of living with diabetes this one is strictly of women, and predominantly women with type 1 diabetes. While a type one woman will no doubt see herself in these stories, I imagine there are things a woman with type 2 will relate to as well. If you’re a man married to or dating a woman with diabetes, particularly type 1, it may give you greater insight what your woman deals with. Living with a chronic illness we all – newly diagnosed and long-timers – need to dip into a well of inspiration and hear each others’ stories every so often to feel less alone and recharge our batteries. Patients will find it here. These are stories of women accomplishing their dreams and, every day, dealing with the realities of living with diabetes. Health care professionals may better understand what it’s like to live with insulin-dependent diabetes and how diabetes not only doesn’t have to stop anyone from accomplishing their dreams, it can actually be the jet-fuel. With that in mind, you may see a different, more hopeful, future for your patients. This may encourage you to approach your patients with an expanded view of what’s possible for them and find your relationship with patients and their outcomes improve. Within these pages are what you can’t get in an office visit; the deeper insights of what your patients live with, the intense management and how they balance their diabetes and their life. I’m joined in this book by an illustrious group of women including many well-known diabetes bloggers .